Raumfahrt+Astronomie-Blog von CENAP - Blog: Raumfahrt - Mission Shakti caused ripples all the way to NASA. After ‘Mission Shakti’, India-created space debris has come under international scrutiny. NASA has criticised India for the anti-satellite missile test because it caused more debris floating in the Earth’s atmosphere. On Monday, April 1, NASA described Mission Shakti as a “terrible, terrible” experiment that threatened the safety of the International Space Station (ISS). The destroyed satellite has also launched close to 400 pieces of debris that are in orbit. 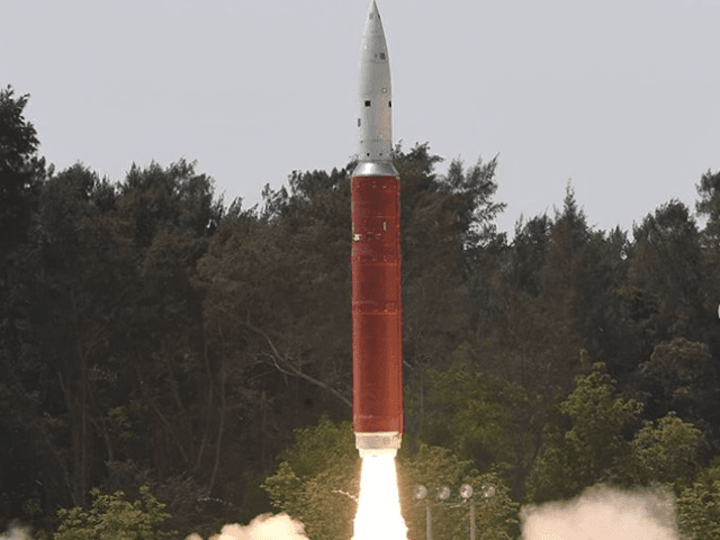 India’s Defence Research and Development Organisation (DRDO) conducted a successful anti-satellite (A-SAT) missile test in a programme dubbed ‘Mission Shakti’. India shot down a low-orbiting satellite about 300 kilometres away; this was to show off its anti-satellite missile system, which can protect against long-range enemy satellites. The satellite that it shot down was a decommissioned Microsat R.
India is now one of the four countries, besides the US, China, and Russia to have this military capability. Prime Minister Narendra Modi had announced the success of this programme in a televised addressed on March 27. His address, however, became the subject of debate on election conduct. The CPI(M) took the BJP and Modi to the EC, questioning whether the address was appropriate given that the country is readying itself for a general election. “The fundamental question was whether the PM, who is also a candidate of the BJP, can use the office and its prerogatives to try and influence for the sake of electoral benefit,” said the CPI(M). However, the EC found that Modi’s speech did not violate the model code of conduct. According to SPACE-TRACK, an online public database by the US Defence, there were only 80 pieces of debris in the planet’s orbit prior to the A-SAT test. Now, NASA says the satellite that was shot down launched about 400 more pieces of debris into the orbit. It is currently tracking debris larger than 10 centimetres. NASA scientists said that of the 60 debris pieces from India’s A-SAT test that have been tracked, 24 flew close to the ISS and became collision targets. Indian Express explains that this debris travels at fast speeds and can cause massive damage, regardless of size and weight, because of its energy. Any equipment that collides with such debris can sustain permanent damage. “That kind of activity is not compatible with the future of human spaceflight that we need to see,” said NASA Administrator Jim Bridenstine. However, India maintained that the debris would burn up in 45 days. Bridenstine, too, admitted the risk was temporary. American officials, however, said they would closely monitor the situation and safety of the ISS. Mahindra Group Chairman Anand Mahindra tweeted that the US was being hypocritical because it’s responsible for most debris in space. The Hindu found that the US is responsible for 4,091 pieces of debris flying in the Earth’s orbit. China is close behind, having launched 3,524 pieces of debris in orbit. Russia, on the other hand, has put 15,207 pieces. US Department of State Spokesperson Robert Palladino downplayed NASA’s comments. He said India and the US have a “strong strategic partnership” that includes collaboration in science, technology, and space research.